Learning House organized the second Education Day in Pokhara, Nepal. Almost 500 students, parents, relatives, and teachers attended. Sponsored by U.S. Embassy Nepal, Education Day aims to encourage young people of Kaski District to chase after their dreams and create change within their communities. In the past, students had to travel to Kathmandu to meet U.S. Embassy representatives and receive quality information on study abroad. Learning House now organizes this annual event to provide accurate information and inspire leaders in Pokhara. The program is free. In addition to speakers from U.S. Embassy and notable entrepreneurs, students practiced English, received one-on-one advising from Learning House and U.S. Embassy advisors, and accessed information regarding American student programs and the visa application process. 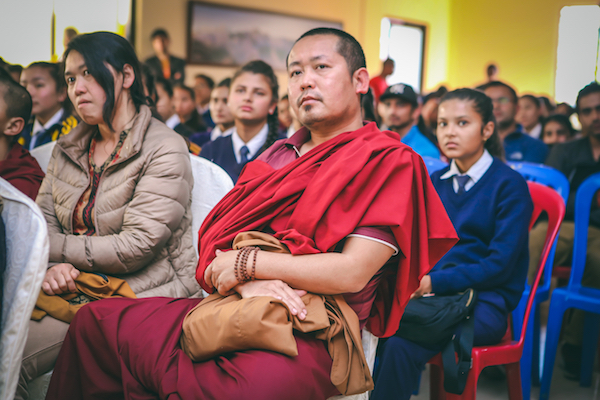 Local entrepreneur Dorje Lama and Republica editor Subhash Ghimire told personal stories and answered questions on business, education, and goal setting. Maker Tables with Raspberry Pi units and puzzles encouraged creativity and English language stations provided platforms for students to build confidence. U.S. Embassy representatives and Learning House advisors offered individual guidance on higher education, and a Visa Consulate officer presented details on application procedures. The event was covered by local and national media. More photos can be found online.